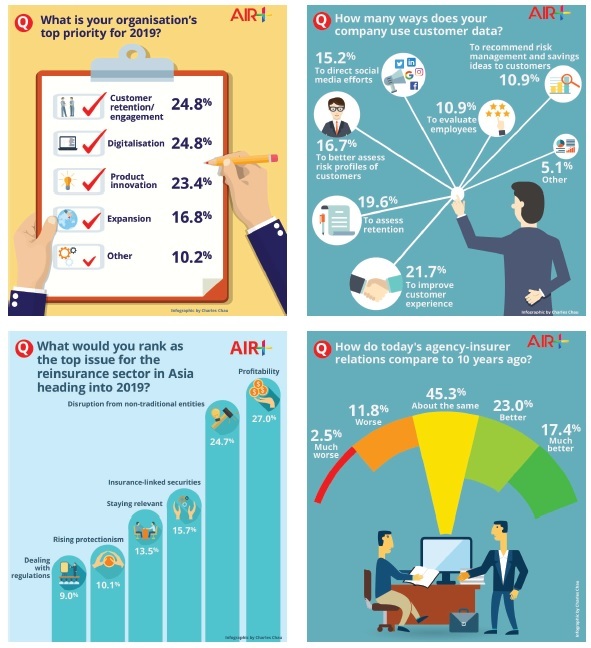 Every week, Asia Insurance Review surveys its readership to glean insights into the big issues that confront leading executives in insurance and reinsurance in the region. The results of our surveys are published in the form of a series of infographics. On this page readers can see a selection of the most recent infographics. Subscribers to AIR+, the premium content service from Asia Insurance Review, get access to these revealing insights as soon as they are published.